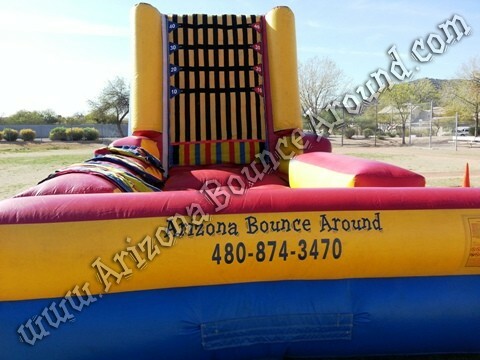 Our Inflatable sticky wall will be a big hit at your party. Imagine flying thru the air and sticking to a huge sticky Wall. This sticky all comes complete with 3 different size sticky suits and will add real excitement to you're your next party or event. 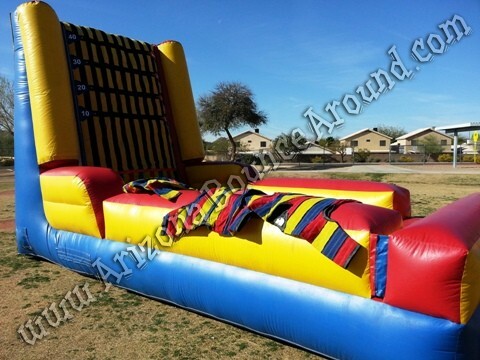 Sticky alls are a great party rental idea for teens so rent one today. Includes child and teen suits. 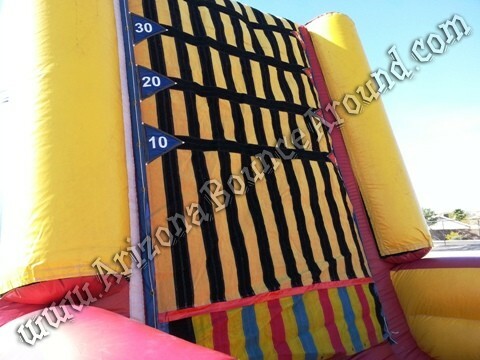 Our sticky wall rental price includes standard set up. Standard setup is considered a real grass area that we can stake into the ground. Within 80 feet of sufficient electrical supply. Delivery and removal within included delivery area with no restrictions for delivery, set up or pickup. We do not install this sticky wall on dirt or sand but it can be setup indoors, on asphalt, concrete or artificial grass by adding sand bags to your order.